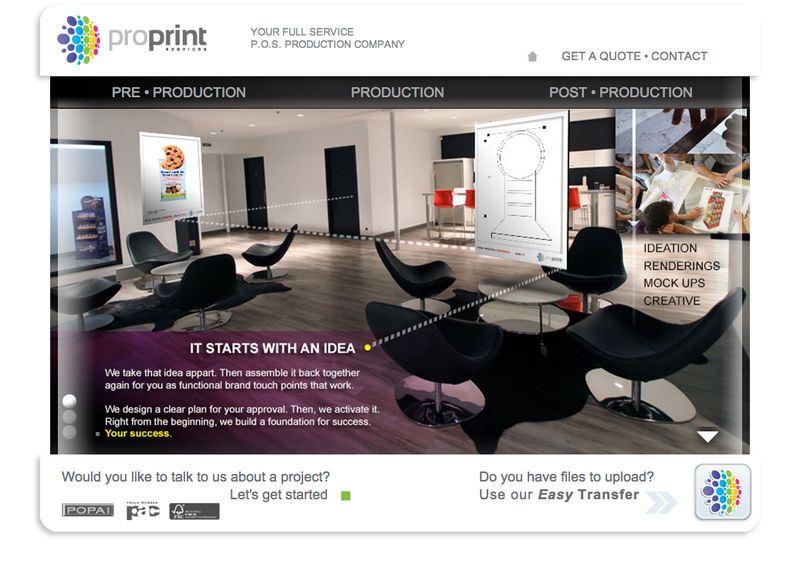 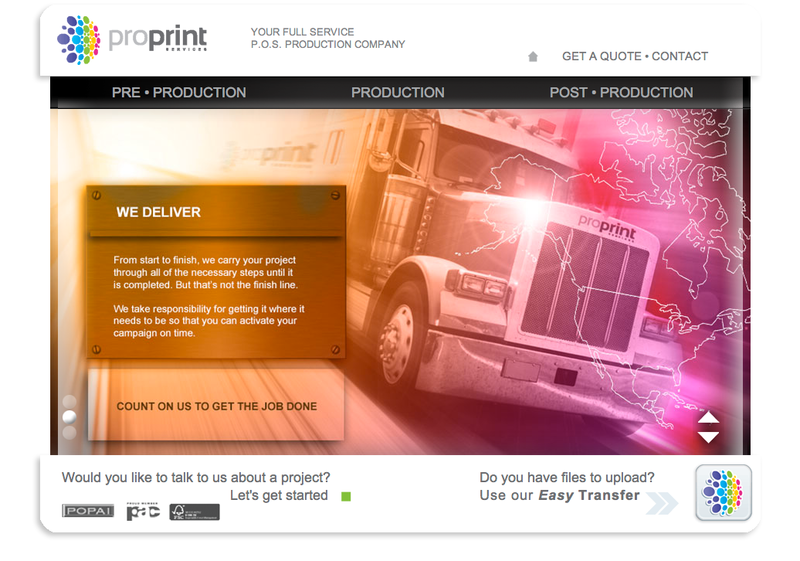 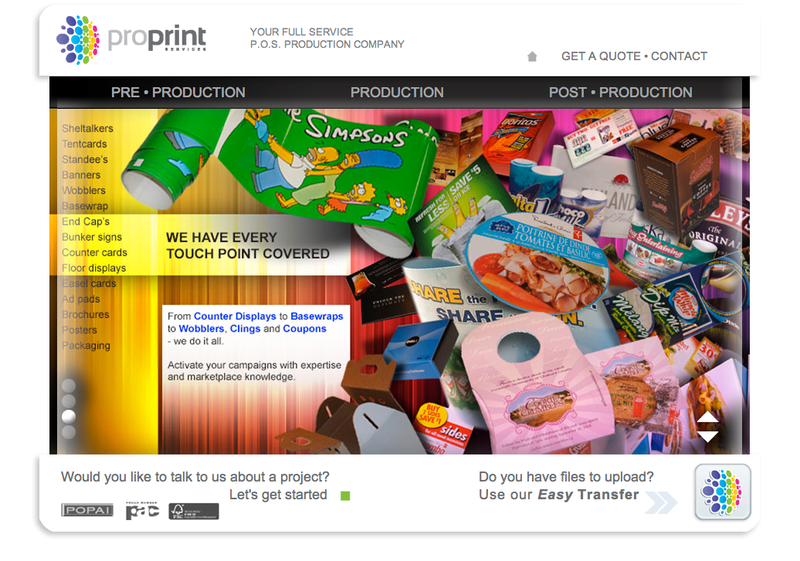 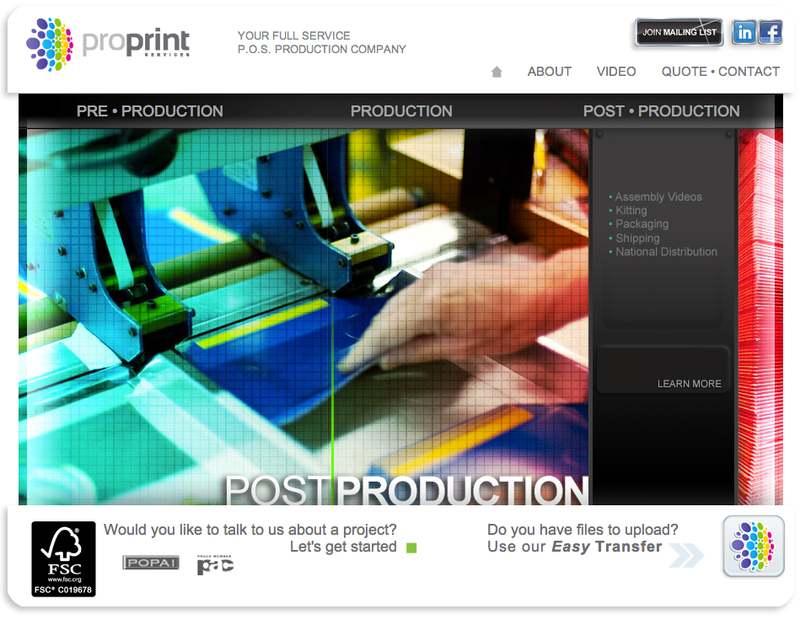 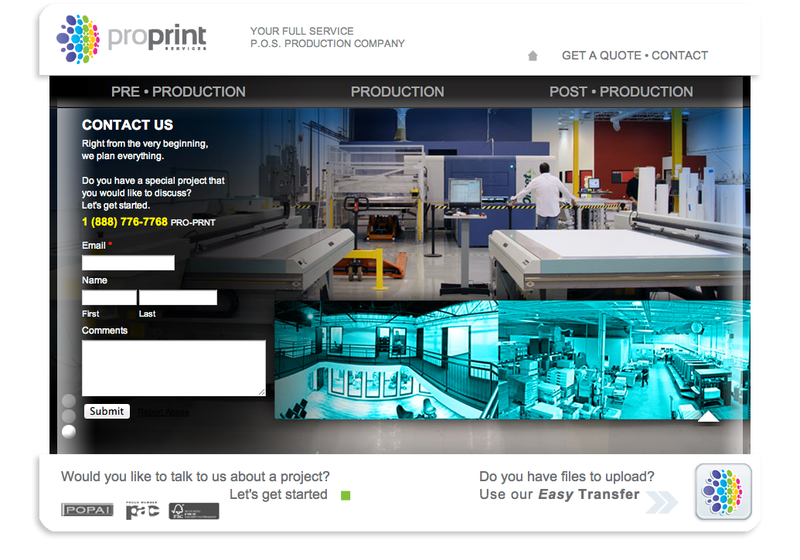 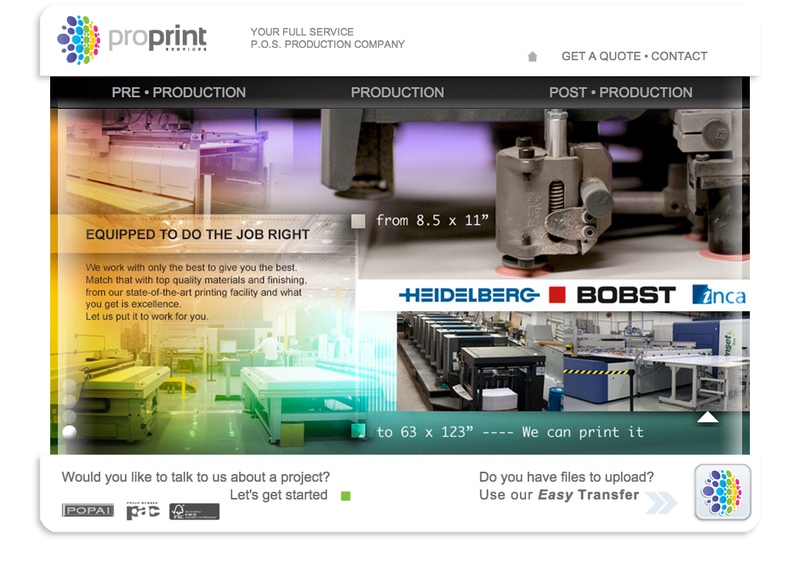 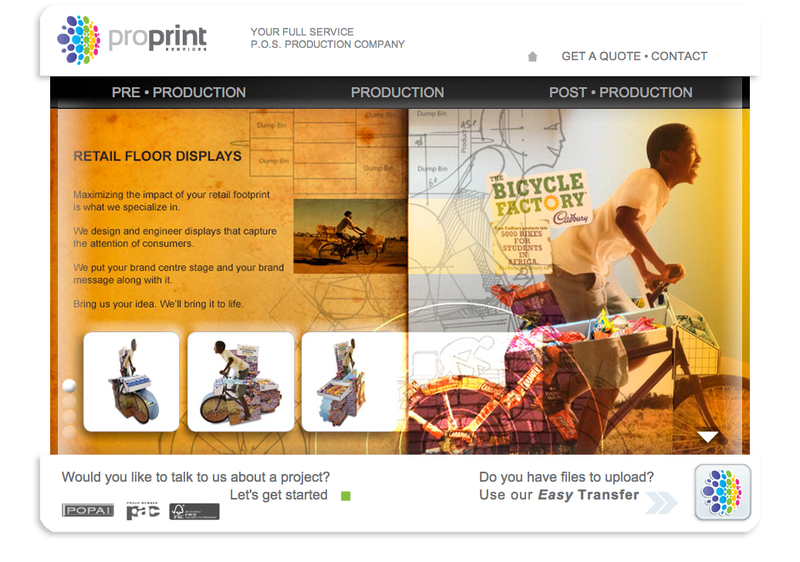 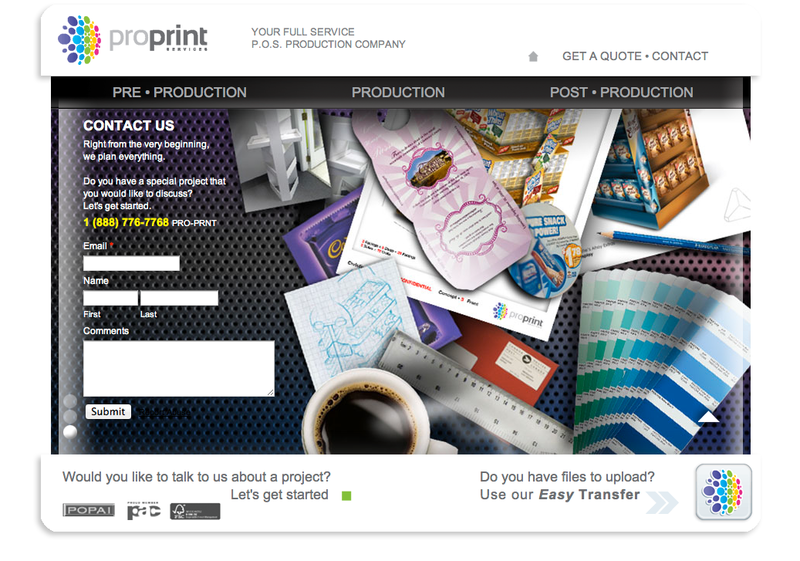 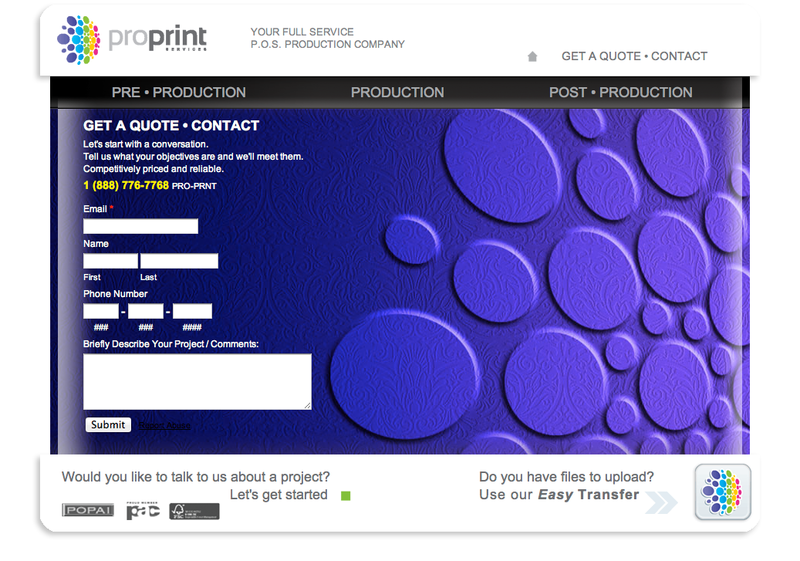 Website design for Proprint Services. 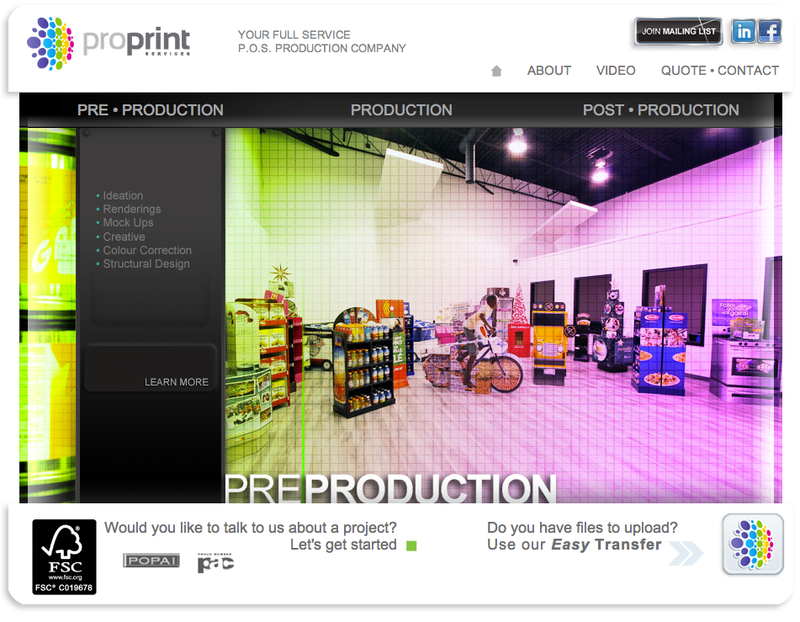 Legendary Retail POS Production Company. 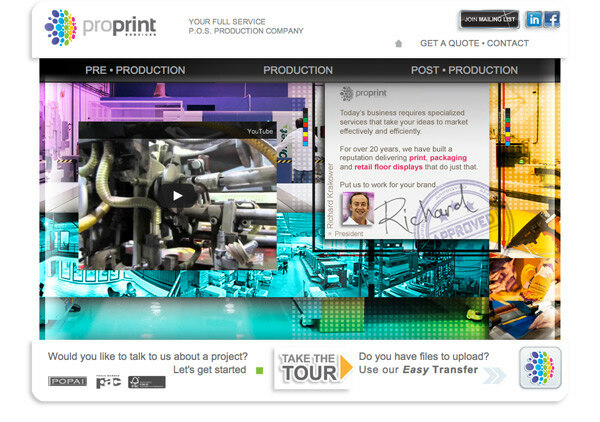 As part of this 20 year company's brand re-launch. 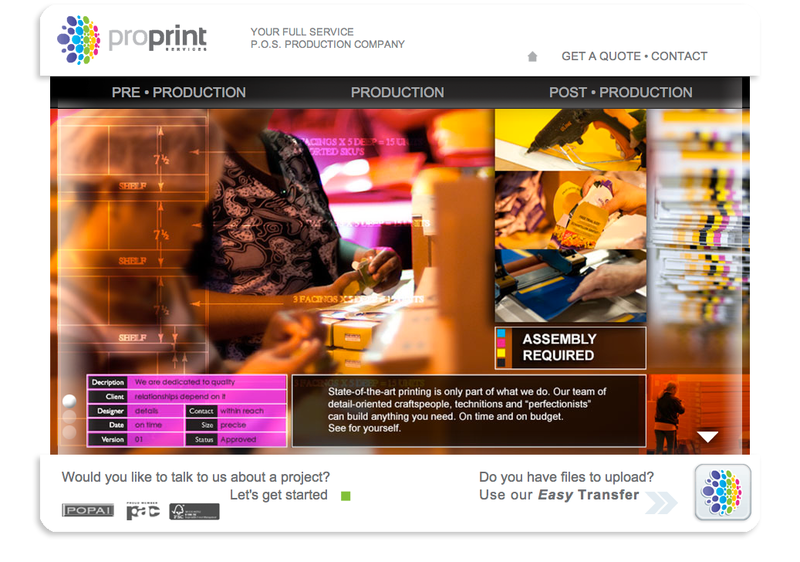 I was tasked to design a new website. 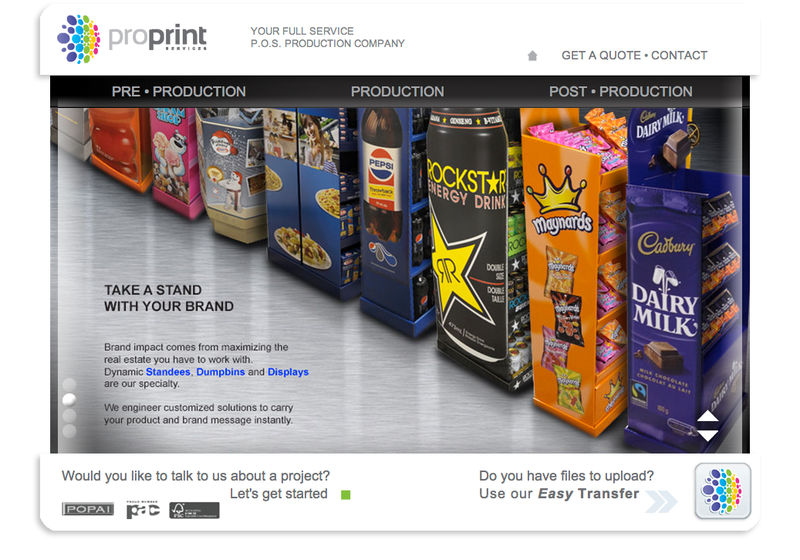 It captures the spirit of a Point of Sale category leader. 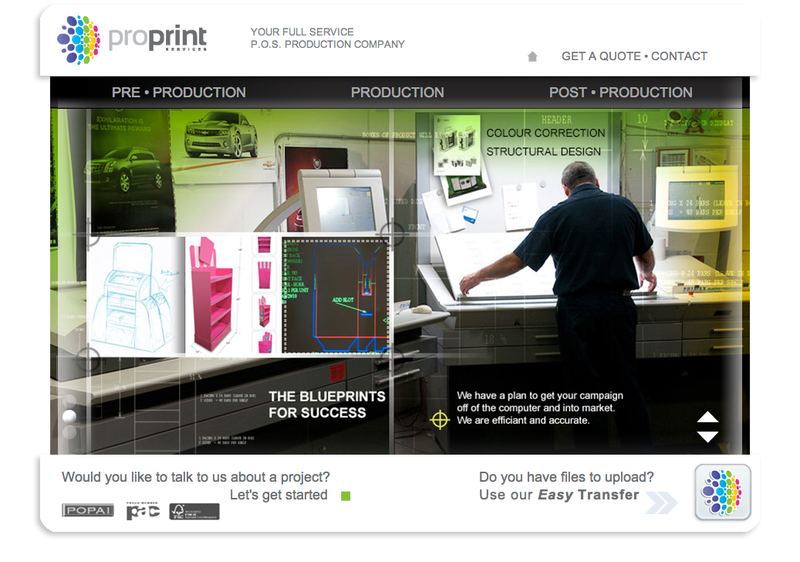 This site showcases their expertise, technology and problem solving capabilities. 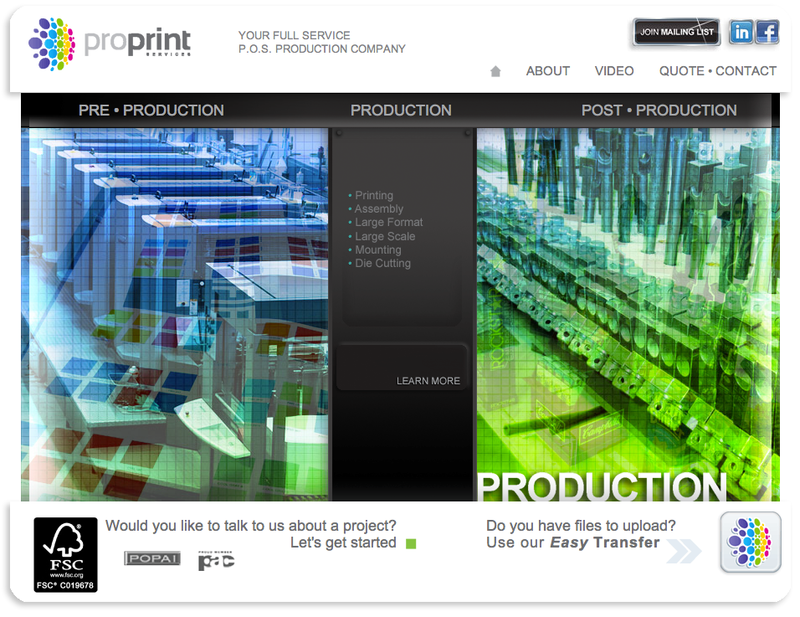 A special thank you to Jeff Nolan of Nolan Interactive for all of the back end work necessary to launch this site with success.